Turbo Charged Engine, 4x4, Back-Up Camera, Hitch. 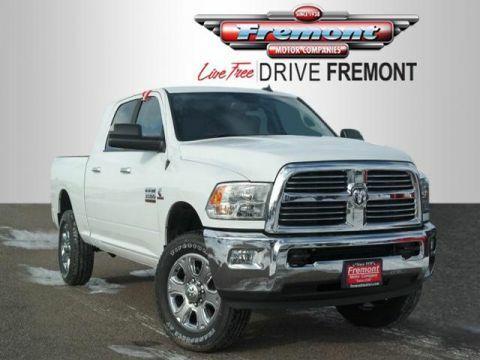 Big Horn trim, Bright White Clearcoat exterior and Diesel Gray/Black interior CLICK ME! 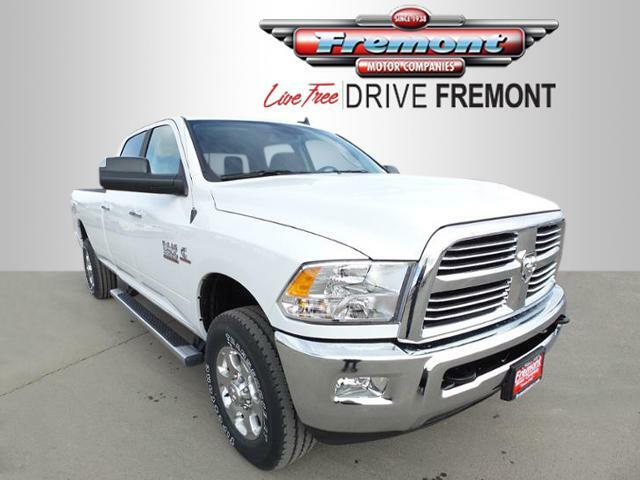 4x4, Back-Up Camera, Trailer Hitch, Aluminum Wheels. 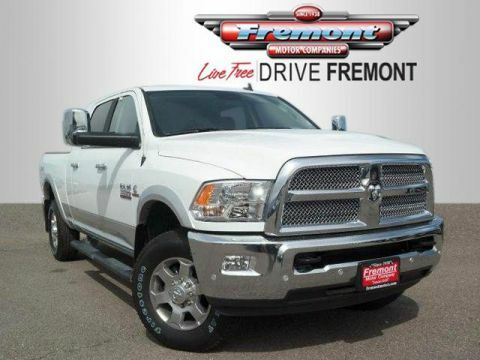 Privacy Glass, Keyless Entry, Child Safety Locks, Electronic Stability Control, Heated Mirrors. 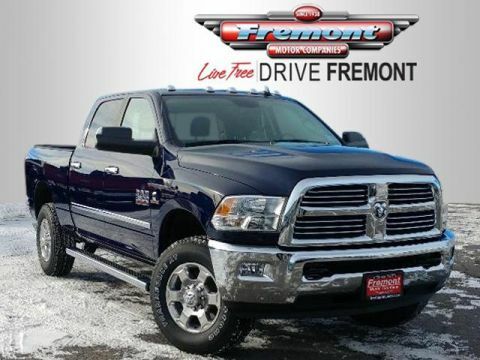 ENGINE: 6.7L I6 CUMMINS TURBO DIESEL Cummins Turbo Diesel Badge, GVWR: 12,300 lbs, Current Generation Engine Controller, Diesel Exhaust Brake, Selective Catalytic Reduction (Urea), 180 Amp Alternator, RAM Active Air, QUICK ORDER PACKAGE 2EZ BIG HORN Engine: 6.7L I6 Cummins Turbo Diesel, Transmission: 6-Speed Manual G56, Big Horn Badge, Bright/Bright Billets Grille, Leather Wrapped Steering Wheel, Steering Wheel Mounted Audio Controls, Underhood Lamp, Big Horn Regional Package, RADIO: UCONNECT 4C W/8.4 DISPLAY USB Host Flip, Google Android Auto, 1-Year SiriusXM Guardian Trial, HD Radio, Media Hub (2 USB, AUX), For Details Visit DriveUconnect.com, Air Conditioning ATC w/Dual Zone Control, 8.4 Touchscreen Display, Apple CarPlay, CHROME TUBULAR SIDE STEPS, TRANSMISSION: 6-SPEED MANUAL G56 3.42 Axle Ratio, Mini Floor Console. 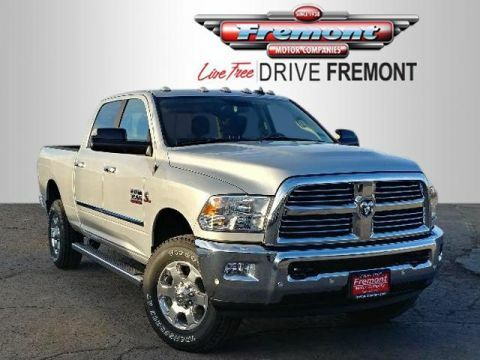 Ram Big Horn with Bright White Clearcoat exterior and Diesel Gray/Black interior features a Straight 6 Cylinder Engine with 383 HP at 5600 RPM*. 1 yr Oil changes and One tire rotation. Approx. Original Base Sticker Price: $60,000*.